Daughter came home form work the other day with 2 huge loaves of brioches and I was wondering what to do with them. 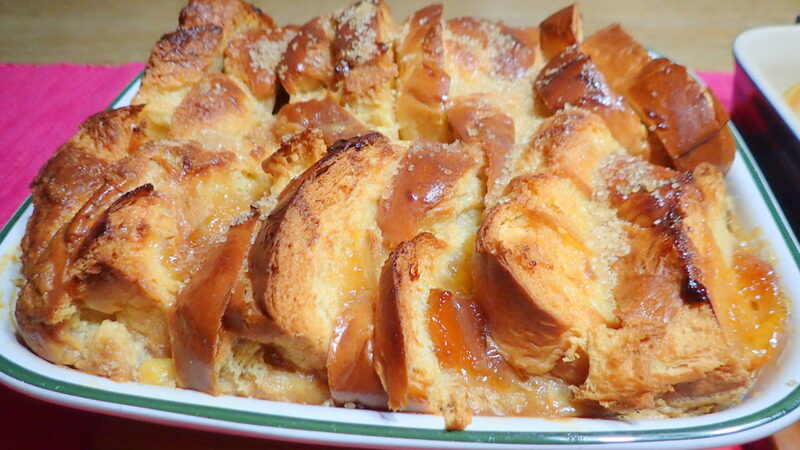 Today I decided to make bread and butter pudding AGAIN! 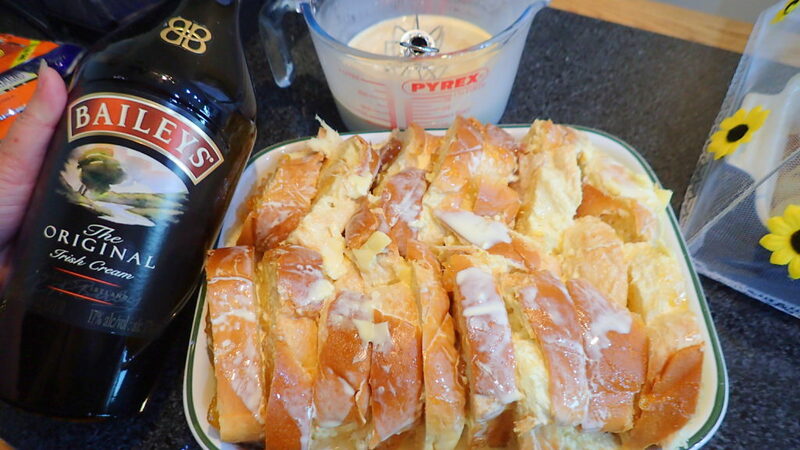 However I have decided it is going to be a bread and butter pudding with a different – a Bailey bread and butter pudding. 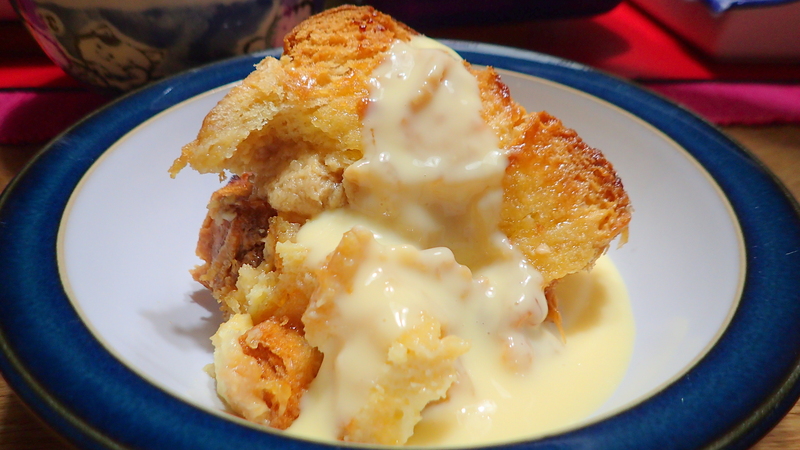 Adult version of bread and butter pudding. Served with real vanilla bean custard. Happy bellies. Butter and spread jam onto the bread. Then arrange the slices onto your baking dish. Beat the eggs mixture. Add in the vanilla extract, bailey and cream. Pour the mixture all over the prepared buttered bread and let it soak. At this stage you can let it soak overnight covered with cling film in the fridge overnight. Bake in oven 180C for 35 to 40 minutes. It is better to serve warm. Optional – You can soak raisins with rum overnight and add to your bread and butter pudding. Normally raisins are added but my husband do not like raisins. You can use different jam, different butter, different combination of anything you like. After baking the top crust of the bread with be crunchy and nice. 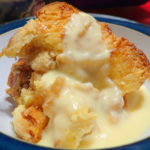 In UK bread and butter pudding is usually part of school children diet. Enjoy. p/s Please adjust the Cream in proportion to your bread. 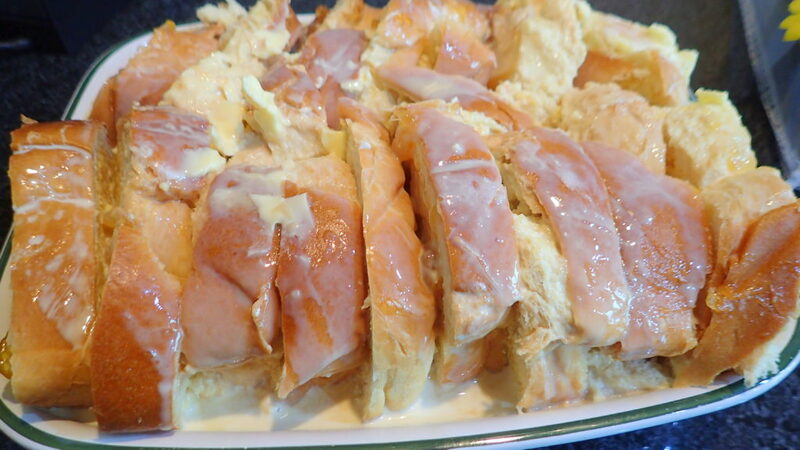 If you use more bread then need to add a bit more cream or bailey or full cream milk of eggs. subscribe. Thanks. Hi there, I enjoy reading all of your article. I wanted to write a little comment to support you. Greetings from Idaho!